Personalize your Cube and Create your OWN!! design. Choose the V-CUBE™ 2 or V-CUBE™ 3 with flat or our unique “pillow” shape and produce your images and designs in high quality 4C print-outs. No borders are required and smooth continuity between the layers is achieved so that themes extending over multiple faces are perfected!! You can choose glossy or matte finishing for your cube. 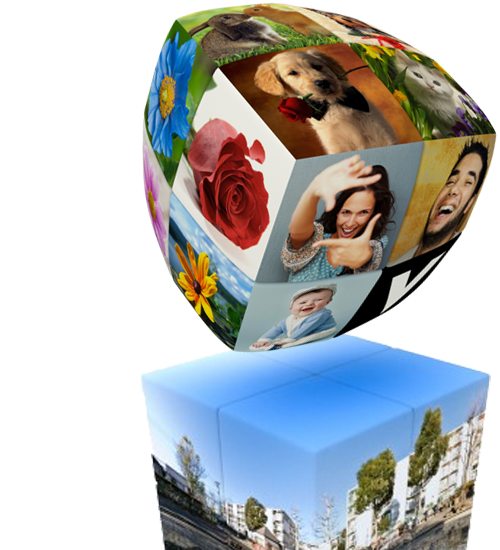 Use our new innovative, “purpose made” web application and create the perfect cube, just as imagine! No Minimum Order!!! Our APP is easy to use. Simply, register and create your account. Once you have completed the form with your relevant information and opened your account, you can take advantage of the many possibilities of the APP including Create your Cube, V-Cubes Store and Socialize & Share. 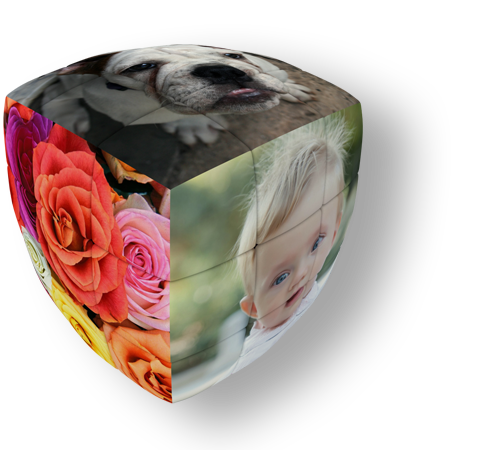 Create Your Cube offers the perfect opportunity to personalize your V-Cube using your imagination and creativity. It’s ideal for cubers searching for new, challenging concepts, companies looking for a unique corporate gift, as well as designers pursuing new items and surfaces to express their creativity and everyone who finds the cube interesting as an object. View our Gallery to see the exciting collection of existing designs for an idea of all the possibilities open to you or try our Create Your Cube application and design your own. 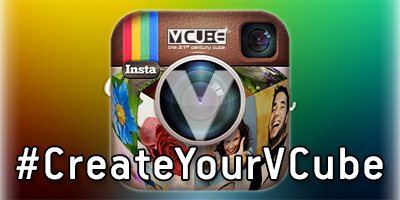 Insta Gallery Log In to Create your V-Cube NOW! Although the "Create Your Cube" applications should work on any browser, the user experience is better on Google Chrome. A picture size of around 1280 pixels should be enough to create a cube with great resolution without the hassle of big files. You can stretch a picture on two or more sides of a cube. Just crop the appropriate parts of a picture for each side! A great example of this is the "Earth" cube at our gallery! You can also check our video tutorial that we prepared for you. As soon you as you receive your new personalized cube, Insta IT!! and tap Tag-People V.cube.official on your photo.